This post was Sponsored by Mirum, but I really do recommend getting their emails for recipes and deals. Summer is in full swing at our house! We are aiming to grill dinner at least twice a week (though if I could I’d make it every night). If you are like me, sometimes the biggest struggle is breaking away from the classic steak or chicken and finding new grilling recipes. If you want to get recipes sent straight to your inbox that quick, easy and use things you have on hand? Head over to The Best Meals Happen at Home and sign up for their emails. They are sending out great grilling recipes (along with many others) to help you get together and get outside. Try out their Best Ever Juicy Burger, Beef Taco Pasta Salad, Jerk Spiced Beef Sirloin or Glazed Frank Kabobs. I love their emails for getting ideas. I also love that the recipes are usually all quick (so no having to prepare 4 hours before you start grilling). They use products we have on hand already or that are on sale fairly often too. 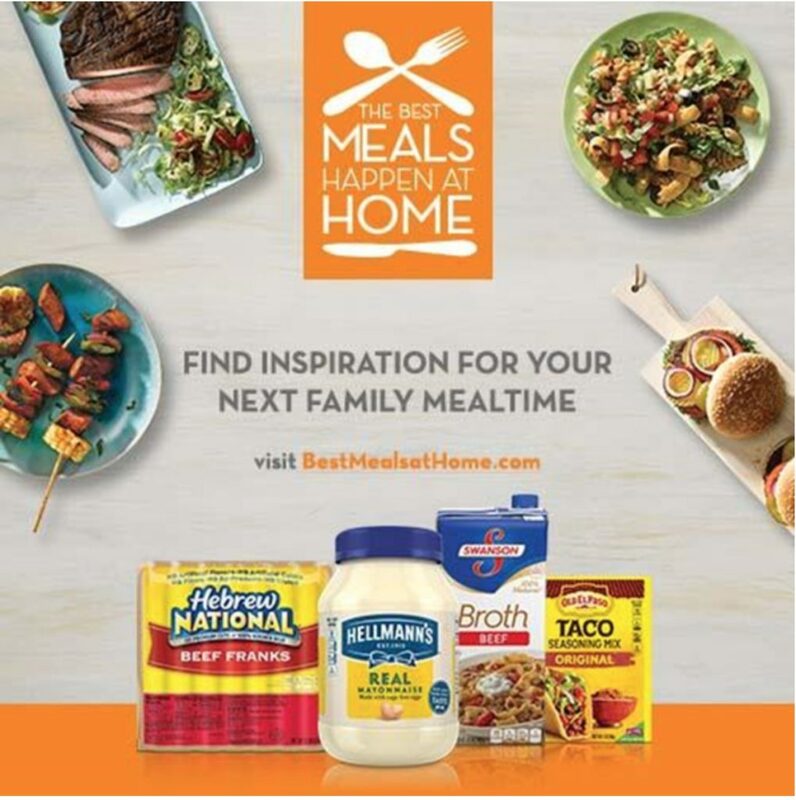 This week The Best Meals Happen at Home team have also joined up with Publix to offer extra coupons and sales off favorite items too. Grab these coupons in the Publix Weekly Ad (or you’ll find them in your Best Meals emails). They are all store coupons. Do you have any favorite grilling recipes that mix things up from the traditional? I’d love to hear them!